Carbon Dioxide, or CO2, was first identified in the 1750s by a man named Joseph Black. He was a chemist and M.D. and we can credit him with its discovery. CO2 is an odorless and colorless gas when at room temperature and it is almost literally all around you. CO2 can be a solid form but that only occurs when the temperature is lower than -78 Celsius, which takes a controlled environment to achieve. Carbon Dioxide comes in a liquid form too but only when dissolved in water and that only lasts for as long as a certain amount of pressure is maintained. That’s why when you open that can of soda the carbon dioxide bubbles begin to work their way to the top as the guy tries to escape. The fizzy properties delight many beer and soda drinkers. Carbon dioxide in and of itself is not harmful but an excess of it is bad for the environment. 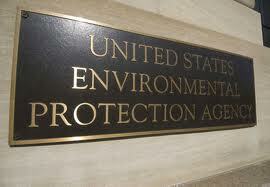 In 2009 an EPA study revealed that CO2 emissions endanger the public health and should be regulated because of that. A number of states filed suit to stop the EPA from doing so and just recently those states lost their case in the DC Court of Appeals. The ruling is a major victory for global warming activists in that the court essentially said that claims of global warming are true and thus the EPA can say that CO2 is hazardous to the public health. As you might expect the folks that were suing the EPA all stand to lose money of CO2 emissions are closely regulated. Miners, manufacturers, and a number of states where those activities pour a great deal of money into the economy were in on the suit. Ultimately they’ll have to live with the fact that public health and the health of the planet comes before their bottom line. CO2 is consumed by plants and trees during photosynthesis. In that way it’s utterly essential to human life since the process produces oxygen, which human beings need to live. It’s a beautiful evolution of life on this planet, which is why deforestation is a troubling trend. Trees are cut down to make room for building and to provide the lumber to put those buildings up. That makes sense, but if the trees being removed are not replaced in some way we’re in trouble. 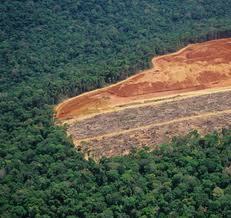 It stands to reason that deforestation could lead to less oxygen on the planet. If there are less trees to produce it then you can count on that being true. Plus, if there are less trees to consume all the CO2 we’re making that means an even greater greenhouse effect, all of which adds up to bad news for a planet hoping to be around for many years to come. Many of the folks that fight for environmental causes speak with such authority on the matter that you’d think they were experts and that they had complete and utter proof that their theories were right on the money. The truth is that all we have to go on at this point is theory. Of course, those theories are pretty good and it might not matter much anyway. Since the Industrial Revolution CO2 emissions are up by a whole lot. It stands to reason then that the burning of fossil fuels is what causes the increase. Some people don’t believe that’s true though. Some think it’s merely a natural thing as the Earth’s population grows and there’s nothing you can do about it or should do about it. We can assume though that CO2 emissions are up because there’s more pollutant being emitted from human beings than ever before. There has been vigorous debate, disagreement, and discussion over global warming. Some say it’s not happening at all (they tend to be idiots) and then there are those that agree the Earth is warming but disagree over the cause and whether or not it’s something to worry about (most of these people are fairly rational). 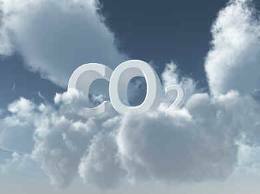 Excess CO2 is thought to be the cause of global warming due to the ramping up of the greenhouse effect. More CO2 gets produced so more CO2 is trapped in the troposphere so the greenhouse effect is stronger, thus making the planet warmer. A point of contention seems to be over the warming issue. It turns out the data on the proof that the Earth is warming up is not nearly as convincing as you might think since it’s incredibly hard to get good information on global temperature. The greenhouse effect is often cited in a negative way as if it’s the worst thing in the world and we’re all going to die. This is not true. The greenhouse effect actually keeps us all alive. 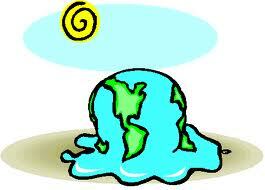 The Earth would be a big ball of ice if it were not for the greenhouse effect. The gases trap the sun’s warmth and keep the Earth nice and toasty so that life can be sustained on it. The problem is that the warmth is increasing because humans are creating too many greenhouse gases and adding to what was naturally in the troposphere. With the additional gasses too much warmth is being trapped and the greenhouse effect is too strong, thus the danger. The thinking from scientists is that the extra CO2 human beings are producing will eventually cause the Earth to become so warm that sustaining life will be impossible. In 1998 CO2 was added to the list of pollutants by the US government in hopes of allowing tighter regulations of emissions by corporations, largely. In 2003 that decision was reversed by the next administration with the idea being that it can’t be a pollutant if it’s a natural part of the atmosphere and is emitted by so many non-harmful beings. Plus, since CO2 is needed by plants to facilitate photosynthesis it was argued that it simply couldn’t be a pollutant. The previous administration was probably on the right track if you’re looking at it strictly from an environment point of view. The idea was to make it a pollutant so that car manufacturers, power plants, etc, would have to cap the amount they were spewing into the environment. The 2003 decision was largely based on the fact that those changes would have been very expensive and the companies didn’t want to do them.